These events are for you, so if you have a minute, leave us a message with your thoughts on the race, or life, or anything really. Tell us who you are...or not! If you'd like a reply, leave your email. 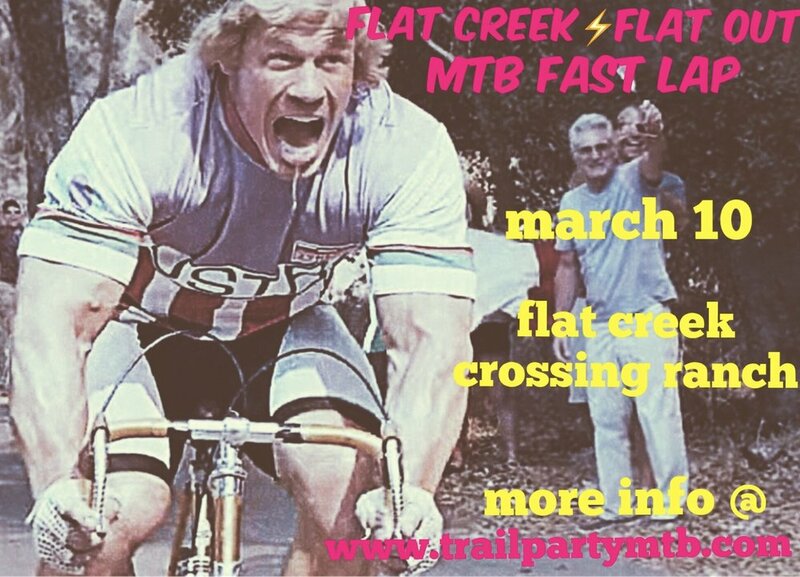 Please join us to celebrate the return of daylight savings and supreme WATTS at the first ever FLAT CREEK/FLAT OUT fast lap competition. Riders will have 6 hours to do as many or few laps as desired. The lap will vary from 5 to 7 miles of technical trail that include some of the XC trails and some of the enduro trails. There will be go arounds on all features for this event. At the end of the day the rider with the fastest lap in each category will be crowned the champ. This will be a great event for all levels and disciplines of dirt cycling to show who has the legs and the skill to take the win. 9:00-5:00 Course marking. Ranch is open, please ride with caution.